Robot Coupe Machines and spares are available. Our most popular lines are shown on the website but we are only a phone call or email away should you need details on other machines. Free on-site demonstrations are offered on all equipment. It is in France, in the heart of Burgundy, a well-known region for its gastronomy, that Robot-coupe has created more than 40 years ago the Robot-Coupe food processor. 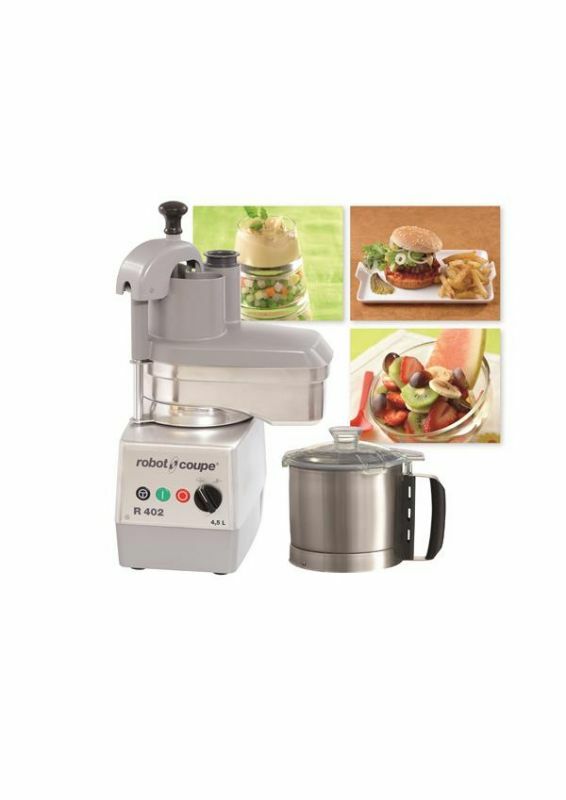 As precursor and incontested leader, Robot-coupe, manufacturer of food preparation equipment, offers a wide range of machines adapted to each professional needs (restaurants, hospitals, prisons, nursing homes, delicatessens, caterers etc. Robot Coupe products offer a one year return to base parts and labour warranty. If you do not have the facility to return a product for inspection, Robot Coupe will arrange collection for the sum of £22 plus vat up to 25kg. Machines over 25kg will be repaired on site.